Welcome to your new headquarters for all things Sacramento Republic FC. 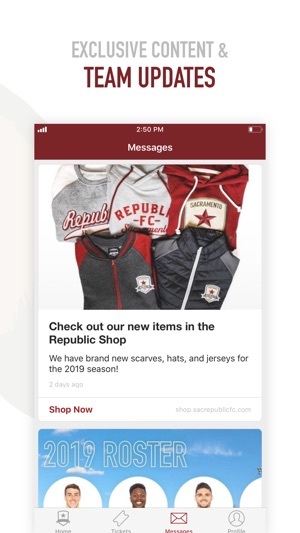 With the new official team app, users get access to new features and exclusive offers that can turn every day into matchday. 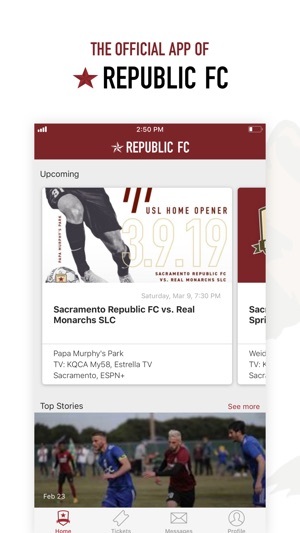 Access the team schedule, view player updates, watch the best highlights and get prepared for matchday with your favorite USL club: Sacramento Republic FC. • Improve your app experience with custom in-venue offers and notifications based on personal preferences. Make matchday your way and never miss a moment. Download the app today. 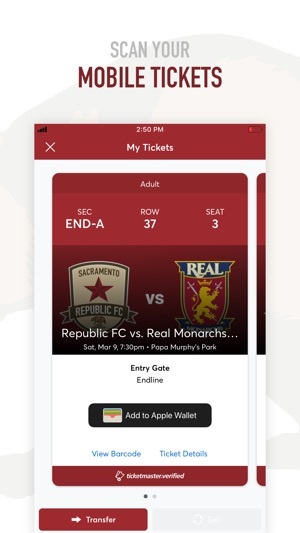 Update your Sacramento Republic FC app for the latest performance enhancements and bug fixes. Fixes addressed issues, good total purpose app. Wish I could buy tickets through it though. 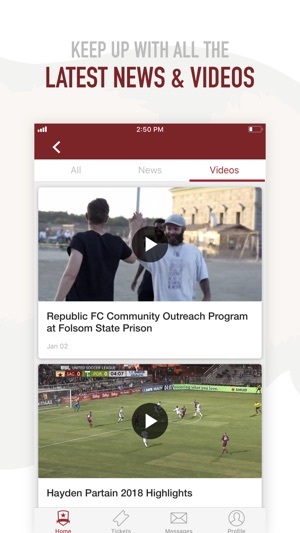 Thanks for downloading the Sacramento Republic FC App! Sorry to hear you're getting a crash when trying to log in - we have fixed this issue as part of the latest release. Could you please update your app and try again? If you're still having issues, our support team would love to help you out. You can contact them at support@fanthreesixty.com. The app keeps shutting down when I try to log in. I still had the issue after I deleted and redownloaded the app. Hopefully this gets fixed to utilize the season member tools.